Wonderful black and white and shades of gray! Oh this is lovely in b/w. How lovely! I get really excited about the first signs of new leaves. This bouquet of bursting new leaves looks delightful in black and white. 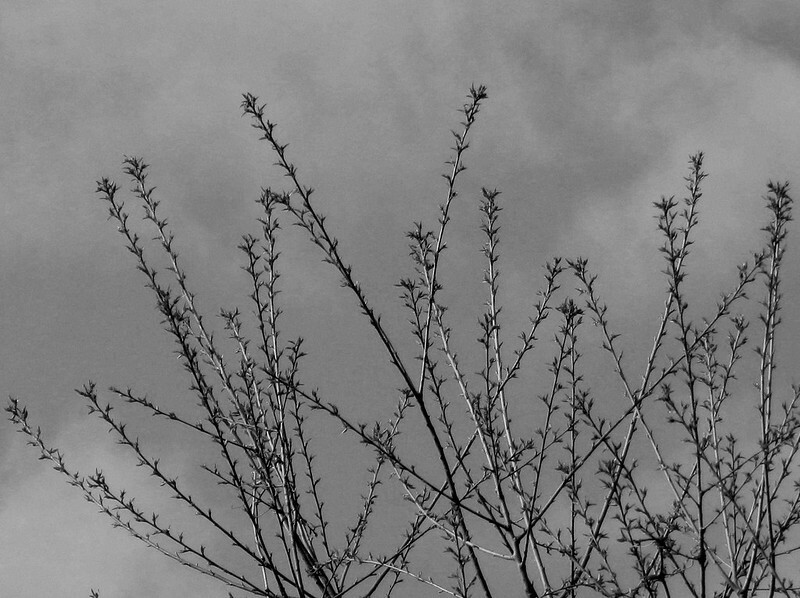 The promise of spring, captured beautifully in black and white!